This beautiful wood 3" diameter slide is perfect for use with my silk shawls and wraps. No pins or sharp points to deal with and your silk slides right through the holes. 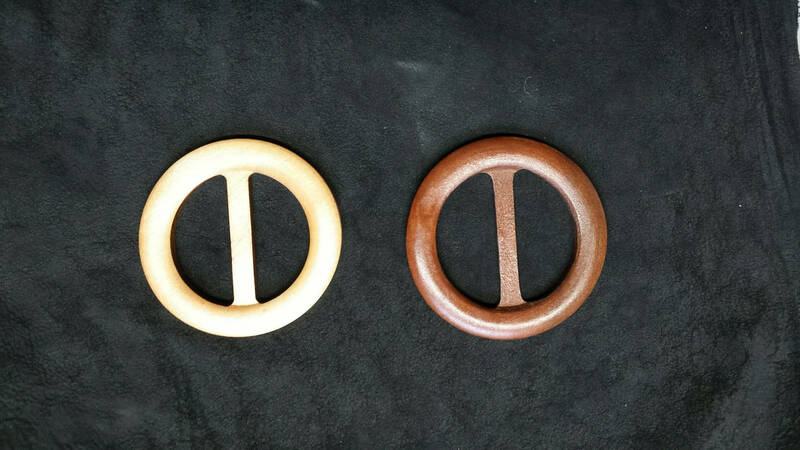 I have hand sanded these to make them suitable for the sheerness of silk. They come in a walnut finish or light, natural wood finish. Choose at checkout. These are a bit heavy for a single silk scarf but a beautiful accent to my silk wraps! It is also perfect for use as a belt slide! See my store for other sizes and colors. Ready to ship.